Minimally invasive surgery (MIS) has been described for the repair of congenital diaphragmatic hernias (CDH) in neonates, infants, and children. This report evaluates patient selection, operative technique, and clinical outcomes for MIS repair of CDHs from a single center’s experience. All cases of CDH at a tertiary care pediatric hospital with an initial attempt at MIS repair from January 2001 to December 2007 were reviewed. A total of 22 children underwent an initial attempt at MIS repair of their CDH (5 Morgagni and 17 Bochdalek hernias). The children ranged in age from 1 day to 6 years (mean, 13.9 ± 23 months) and weighed 2.2 to 21 kg (mean, 7.4 ± 5.50 kg) at the time of the operation. All five Morgagni hernias were managed successfully with laparoscopic primary repair. Six of the Bochdalek hernias were found in infants and children (age range, 6–71 months). All these were managed successfully with primary repair by an MIS approach (2 by laparoscopy and 4 by thoracoscopy). The remaining 11 Bochdalek hernias were found in neonates (age range, 1 day to 8 weeks). Four of the Bochdalek hernias were right-sided. Nine of the Bochdalek hernias in neonates were repaired thoracoscopically. One neonate required conversion to laparotomy, and another underwent conversion to thoracotomy. Four of the neonates with Bochdalek hernias required a prosthetic patch. Two of the neonates also had significant associated congenital cardiac defects. Overall, there were two recurrences involving one 3-day-old who underwent a primary thoracoscopic repair and another 3-day-old who underwent a thoracoscopic patch repair. The follow-up period ranged from 5 months to 5 years. 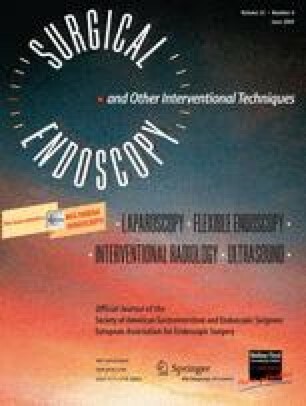 Morgagni hernias can be managed successfully by laparoscopy, whereas thoracoscopy is preferred for neonatal Bochdalek hernias. Either approach can be successful for infants and children with Bochdalek hernias. Additionally, patients with congenital cardiac defects and those requiring prosthetic patches can undergo a MIS CDH repair with a successful outcome.